German and Russian forces clash in this WWII strategy game that allows gamers to lead both the Nazi’s and the giant Red War Machine as World War II comes to a deadly climatic finale. 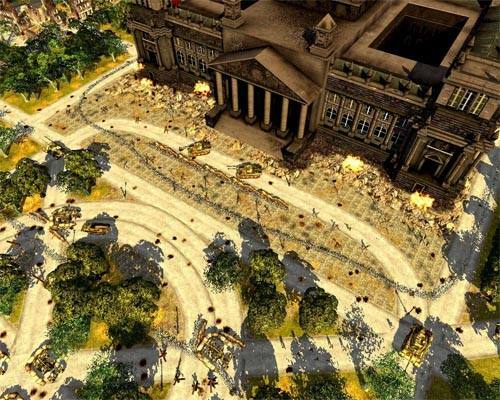 In its essence, Mockba to Berlin is a real-time strategy game that is set in the turbulent era of World War II which allows players to control both these superpowers. With that said, the gamer has access to dozens upon dozens of vehicles and resources to ensure their victory on the western front. 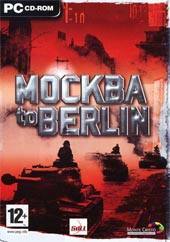 For those that are unsure of where to being in Mocbka to Berlin, the game features an in-depth tutorial that teaches players the ins and outs of the game and once the tutorial has been completed, even the most novice of players will have all the training required to take on either of these super powers. The first mission of this title sees the German invasion of Brest that has the player trying to capture several key bridges in order to move their forces into Russia. Starting with a considerable force of both armoured vehicles and infantry, the only thing that could stand against you would be concentrated insurgents. Needlessly to say, a great introduction to the world of Mocka to Berlin. Combat is also an essential aspect to the title and whether you’re moving your deadly Panzer tanks or deploying your soldiers with bazooka’s, the title is extremely authentic. If your units do get injured, there are a variety of units around that can assist in repairs such as medics and repair vehicles. Fortunately these units will heal those injured units around them with minimal player input. An interesting feature of this game is that vehicles will not operate unless a soldier has commandeered the vehicle which is a neat touch and adds to the realism of the title. Graphically, Mocka to Berlin is a very impressive game that features a very sturdy gaming engine with all the bells and whistles of the era plus a great range of special effects from explosions to smoking craters, the realism is extremely immersing. The only downside to the graphics engine is that when you zoom into the combat, the detail is a little sparse but apart from this issue, the developers should be commended on a great job. The sound effects have all been professionally implemented into the title and also features authentic accents and match that with all the sounds of war and there is little to complain about on the sound front. In conclusion, Mocka to Berlin is a great RTS that is set in World War II and if you're looking for a rather impressively made title of this genre, than this is one title that you should not pass up on. Check it out!